Being a doctor can be risky business, some times more than others. During my dozen medical missions to Syria, I had to crawl under a border fence, jump over walls, walk in the mountains at night for hours without any light, pass through the sniper alley in Aleppo, negotiate with smugglers and work in bombed, underground hospitals. The Syrian crisis is now in its fifth year. The country’s health services are under unprecedented strain due to the protracted war, deliberate targeting of health staff and infrastructure by the Syrian regime and Russian forces, the exodus of physicians and nurses, shortages of medical supplies and medications and the disruption of medical education and training. Syria’s largest city, Aleppo, has 85,000 children, including around 20,000 below the age of two. Dozens are injured every week, just like five-year-old Omran Daqneesh whose pictures have shocked the world. Many have far worse injuries and will not survive. 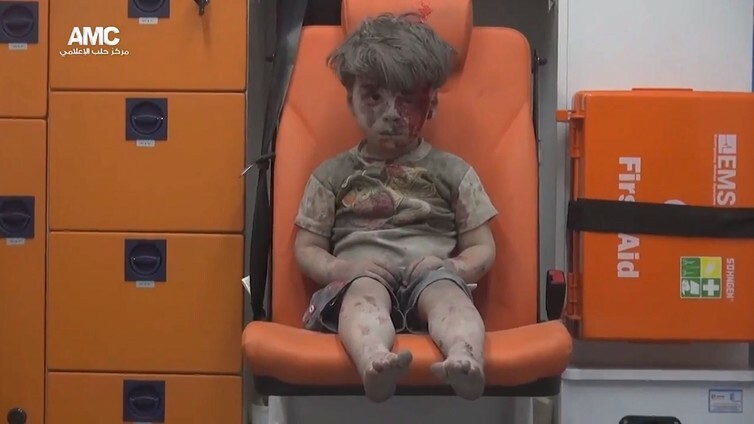 I took care of some of these unlucky children, such as Ahmad Hijazi, also five years old. He was hit by one of Assad’s barrel bombs. These are containers the size of barrels, stuffed with TNT and metal shrapnel, which the Syrian regime throws from helicopters onto urban areas such as hospitals, civilian neighbourhoods, fruit markets and schools. Hijazi had shrapnel lodged in his spinal cord and was paralysed from his neck down. When I saw him, he was breathing with great difficulty, so we put a breathing tube in his mouth and put him on life support. The day after I left, he had a cardiac arrest and died. Around half-a-million people have been killed in the conflict. Half of the population has been displaced. There seems to be no light at the end of the tunnel. Medical neutrality is a principle under international humanitarian law that ensures protection of medical personnel, patients, facilities and transport from attack or interference. It also underpins unhindered access to medical care and treatment; humane treatment of all civilians; and non-discriminatory treatment of the injured and sick. 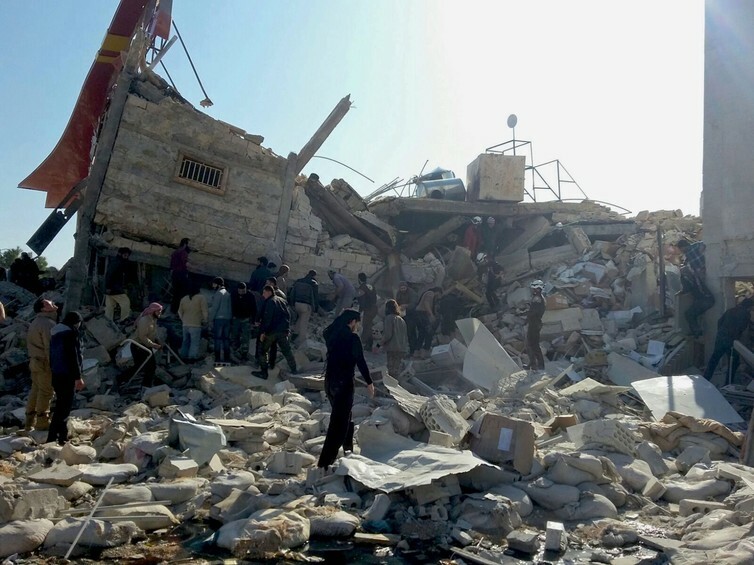 Systematic attacks on health care, mostly by the Syrian government and recently Russia, are violations of medical neutrality and therefore war crimes under the Geneva Conventions. Before the onset of fighting, Syria’s health care system was comparable with that of other middle-income countries, such as Iran. By 2015, all sectors of the country’s health infrastructure had disintegrated. Within only a few years, the life expectancy of resident Syrians has declined by 20 years; from 76 in 2010 to 56 by the end of 2014. This isn’t all due to the direct effects of war. Many more Syrians have died prematurely from infections and chronic disease than from the fighting – this includes diseases such as pneumonia, hepatitis, tuberculosis and diarrhoeal infections, as well as heart disease, kidney disease, diabetes, cancer and chronic obstructive pulmonary disease. Hospitals and clinics have been destroyed. Eight out of the ten hospitals in Eastern Aleppo are partially functional or out of service as a result of targeted attacks. From March 2011 to the end of May 2016, at least 738 Syrian doctors, nurses and medical aides died in 373 attacks on medical facilities. The working conditions of Aleppo’s remaining doctors are unsustainable. An estimated 35 doctors are left in Eastern Aleppo which, with a population of approximately 300,000, means there is one doctor for every 8,570 people. There is not a single critical-care doctor – my own speciality – despite the abundance of critically ill patients. Doctors, local administrators and NGOs are struggling in substandard conditions and often use unorthodox methods to do their work. They work in underground makeshift hospitals, hospitals dug into mountains or in natural caves for protection. They perform surgeries without light, proper anaesthesia or sterilisation, transfuse blood without proper matching and have medical students or dentists perform life-saving procedures due to the shortage of specialists. Much-needed medical supplies are channelled through dangerous routes across the borders of Lebanon, Jordan and Turkey. As physicians, we can’t wait for politicians to fix the crisis. Fifteen Aleppo doctors recently penned an open letter to US President Obama, in which they wrote that “there is an attack on a medical facility every 17 hours” by the Russian-backed Syrian air force. Meanwhile, the charity Syrian American Medical Society reported that July has been the worst month for attacks on health care since the beginning of the conflict. There were 43 attacks on health facilities in the month – more than one a day. By comparison, this number of attacks occurred over six months in 2015, with 47 attacks from January to May. Charities and other organisations, such as the Syrian American Medical Society, have pioneered solutions to some of the resource gaps. These include portable ultrasounds and other point-of-care diagnostic tools, as well as virtual wards connecting nurses and doctors in besieged areas with specialists in the United States. Doctors in the US and other Western nations have helped Syrian counterparts make the best of the situation by providing training and helping with technology and treatment. But more needs to be done to support remaining health workers. 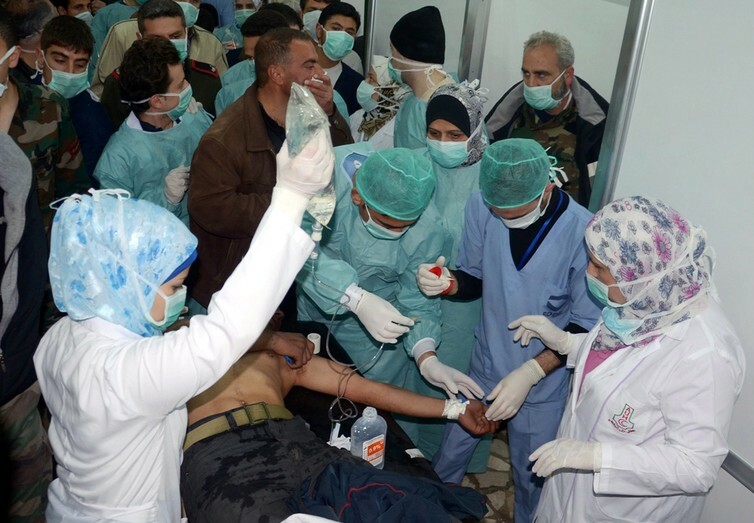 International medical organisations should advocate on behalf of their Syrian colleagues and champion an end to violations of international humanitarian law. Educational opportunities to support Syrian health professionals, including scholarships for medical students, would help with ensuring there are enough staff to rebuild the Syrian health system. More resources should be directed to research the impact of conflicts on health care and the use of technology and other innovative solutions to mitigate harms. Consensus should be achieved and acted on by the international community on the urgent need to protect civilians from airstrikes and chemical attacks. This is needed to apply pressure on the Syrian government to stop targeting the remaining health care staff and hospitals. We should share knowledge, skills and technology with all patients, across the world. Although our local patients are a priority, we can also benefit the global community.